You may have noticed that I have focussed a lot on my videos for my Youtube channel this year. These are the top 3 things I have learnt along the way. You may be able to relate to these lessons, even if you don't film Youtube videos. 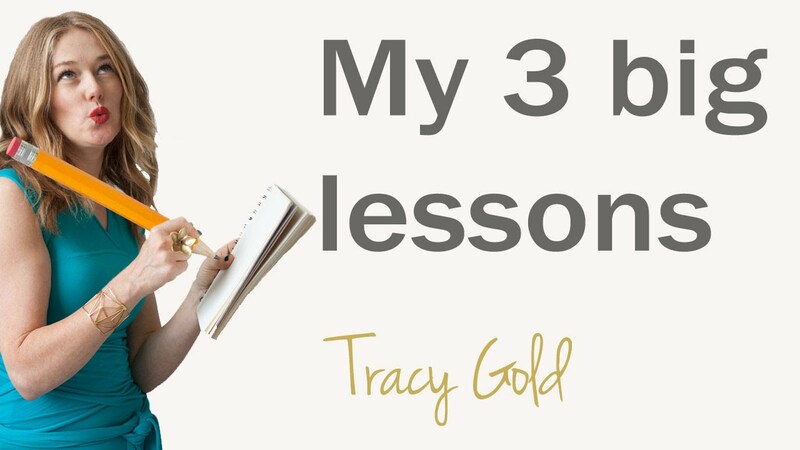 In this video, Tracy Gold shares her 3 big lessons for 2015. You may have noticed that Tracy has focussed on her videos for her Youtube channel this year. These are the top 3 things she has learnt from this process. 1. Not to take herself so seriously. 2. To quite down her critical voice. A special thanks to Abigail K for filming her videos and helping her to laugh more during the process and Victoria Wilson, her voice and presentation coach, for helping her to take her presentation skills to a whole different level.